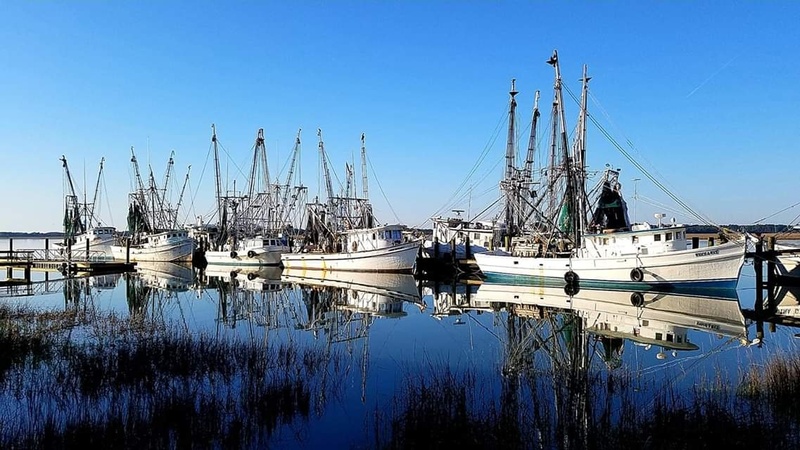 The shrimp boat docks were the main topic of conversation at the Wednesday morning coffee meeting today and how the town is losing money in varying amounts depending on who's numbers you believe. What is this treasured amenity worth to the people of the town and the visitors, not to mention Fishcamp on 11th Street . Yes, it's true this is not a money maker and even a liability but this is Port Royal SC. I went down today and realized the left side of the dock is where the majority of shrimp boats rest. The left side of the dock has only one steel boat and I wouldn't be upset to see this one go with the redevelopment of the right side of the dock to potentially become a day dock with the Town's continued ownership, if we haven't already given that up. Whether or not the shrimp boats are a money maker or an expense, they're worth keeping if nothing more than to look at as part of our heritage. I think we need to do all we can to keep this part of Port Royal SC as long as we can and make it the best it can be.